The man was found at 5.40am today and has been taken to Beaumont Hospital. AN UNIDENTIFIED UNCONSCIOUS man was found in the early hours of this morning on a Dublin street. 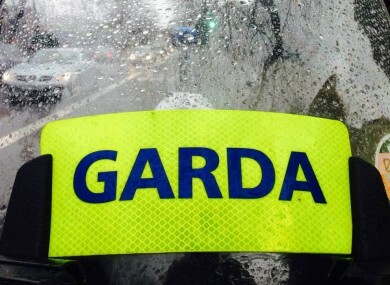 Gardaí in Santry are investigating all the circumstances following the discovery of the man, who was unconscious and had serious injuries, on the footpath at Lorcan Ave, Santry today. He was discovered at approximately 5.40am and has been taken to Beaumont Hospital where he is in a serious condition. Gardaí have not identified this man, and say they believe he is aged between 25 and 35 years. He is of stocky build, with very tight hair, approximately 5’8″ to 5’11″ in height. When found, he was wearing light brown boots, and a green/khaki round-neck t-shirt. He also had a watch with luminous green straps. There have been no arrests at this stage and the area where he was found has been sealed off for a technical examination. Gardaí are appealing for anyone who may recognise the injured male form the description above to contact them in Santry. They are also appealing for anyone who may have witnessed an incident or who may have been in the Lorcan Ave area between 5am and 5.40am this morning to contact them on 01 6664000, the Garda Confidential Line on 1800 666 111 or any Garda station. Email “Unidentified unconscious man found seriously injured on Dublin footpath ”. Feedback on “Unidentified unconscious man found seriously injured on Dublin footpath ”.